Security fencing is a great way to keep your family safe. If you are looking for a little more protection than a typical residential fence offers, home security fencing might be the best option for you. How can you choose the right security fencing for your home and have a smooth installation process? What Are Important Aspects of Your Security Fencing? Every good security fence relies on two different things—visually discouraging any potential intruders and making it physically difficult for potential intruders to get through or over the fence. If both of those things are satisfied, you are looking at a great quality security fence! How can you achieve these? Pay attention to the height of your security fencing, as that is a huge deterrent. If the fence seems too high to get over without grabbing a ladder, your potential thief will move on to another property. Do you have features on your security fence that make it hard to climb? These can include materials that are hard to grip onto, anti-climb spikes, classic barbed wire, or other things installed on the top of your fence. How is your fence put together? Try to purchase security fencing that is bolted or welded together so that it isn’t easy to take it apart or cut through it. What Should You Look for in a Security Gate? The security gate is just as important as your security fencing, and a weak gate will ruin any of the effects of a great security fence. 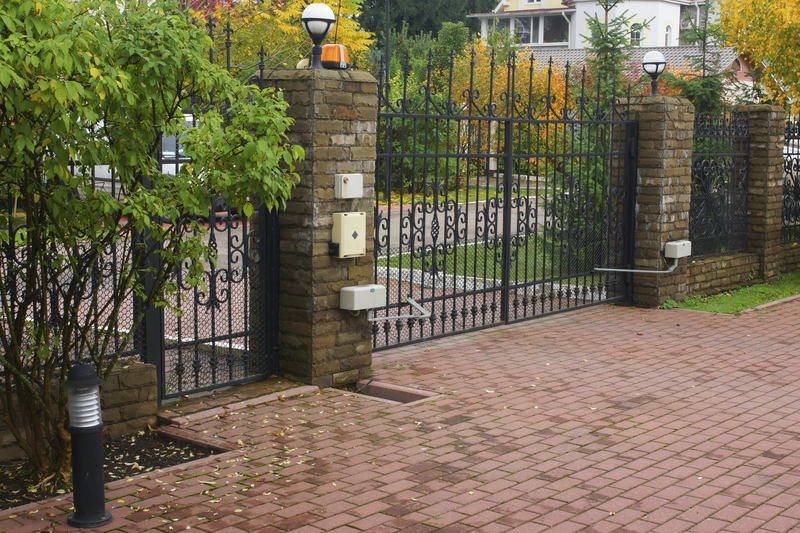 There are many different gate options available to you, including solar powered gate operators, cameras installed near the gate, home automation integration, additional barbed wire, and traditional hard wired security gates. Hercules Fence Northern Virginia has countless fencing options for your business and commercial property. Whether you’re excited about a beautiful vinyl chain link fence or already planning out your custom wood commercial fence, we are ready to help you frame and secure your property. Hercules Fence Northern Virginia has been providing homeowners with quality fences for over 50 years. We are well equipped to meet your needs, whether they are residential or commercial. Contact us to see how a chain link fence can protect your property by giving us a call at 703-551-2609 or visiting us online. To see examples of our work, follow us on Facebook, Twitter, Google+, LinkedIn, Pinterest, and Flickr. This entry was posted on Thursday, December 22nd, 2016 at 7:40 pm. Both comments and pings are currently closed.